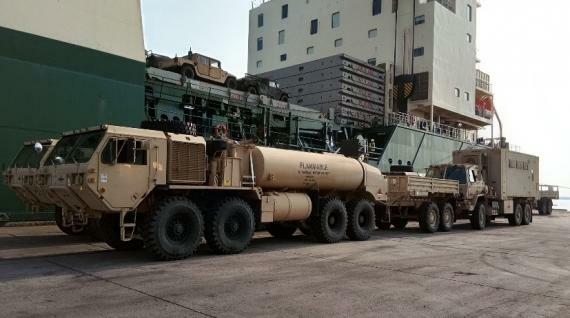 Tera Projects & Shipping have a history of successful, well-executed projects in Malaysia and their latest delivery involved various different US Army trucks loaded at Kuantan Port in Pahang. 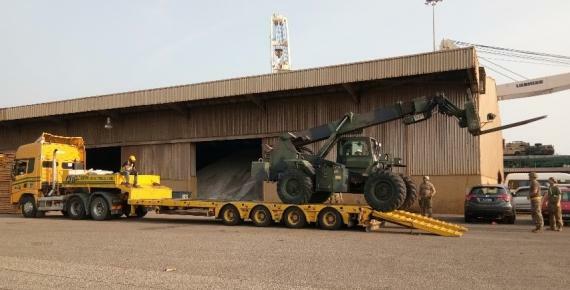 In total, approximately 20,000tns of army trucks were loaded at Kuantan Port, once discharged from the US Navy vessel (M/V Ocean Grand), and delivered to the Senawang Army Camp in Negeri Sembilan. 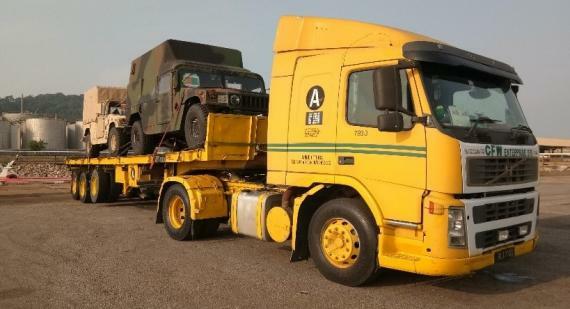 Tera supplied low-loader trailers and platform trailers to load all the trucks and the Malaysian Army escorted the convoy on the journey.